And we need more! We have vacancies in lots of areas at Sheffield Hallam. As new ways of working are rolled out across all professional services in the University, we need stewards in as many areas as possible. 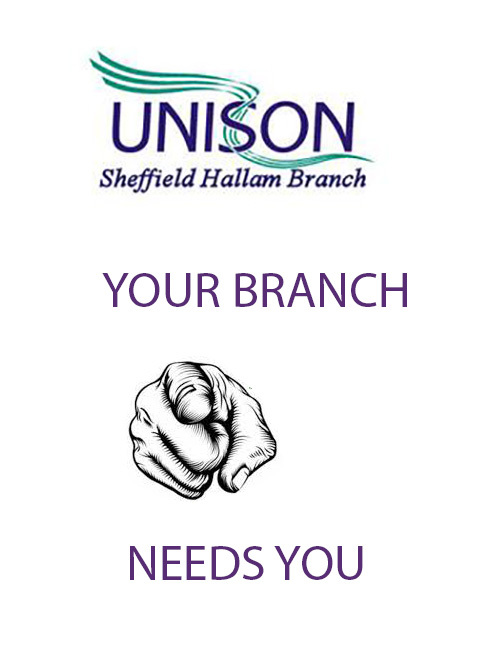 Being involved in how the Sheffield Hallam University UNISON branch is run. The Branch Secretary (rule G4.2), is responsible for ensuring the proper completion of the following tasks. It is not expected that, especially in larger branches, the Branch Secretary will personally undertake all these functions but will act as the strategic lead officer and co-ordinator within the branch. The secretary will encourage partnership working within the branch committee and the development of new representatives, will be the manager of branch staff and will manage the delegation of work to other branch officers and branch staff as appropriate, whilst providing support and guidance. to ensure that all functions of the branch are carried outto work closely with the secretary to provide leadership to the branch. To deputise for the Branch Chair. To carry out functions related to Branch elections as set out in the Branch Rules. to provide an audited annual return of branch income. To make sure that activists get paid time off for training where appropriate. All UNISON representatives should promote equality and challenge discrimination in their union role. Equality Officer, whilst not expected to be an expert on all equality matters, lead and co-ordinate the branch’s equality work. 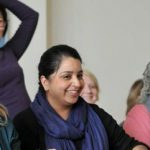 The Equality Officer is not a representative of self-organised groups but is elected by the members at the Annual General Meeting. They are however expected to work with representatives of self-organised groups, with equality representatives and all activists. They support the training and development of other union representatives and monitor progress. Branch Equality Officer should share good practice where there are multiple workplace representatives within branches. Branches can elect equality representatives for each of their work groups. The role of the equality rep is to promote equality and challenge discrimination in their local area, keeping the Branch Equality Officer updated on developments. writing ‘letters to the editor’. to make recommendations to the branch committee on recruitment activities, targets, resources, budgets, etc. to seek to develop an international perspective among members, stewards and branch officers. The role of the Branch Young Members’ Officer is ideal for someone who is interested in becoming more active in the union. The post may be a stepping stone to becoming a steward or taking on wider roles. Branch Young Members’ Officer must be under 27 years of age for the whole of their term of office and be nominated by young members. The Labour Link Officer is elected and accountable to the Labour Link section within the branch and must be an individual member of the Labour Party – this is because the post holder should work to take UNISON policy forward in the party, often being a delegate to the general committee of the party and encouraging joint work and campaigning with the local constituency Labour Party (CLP). 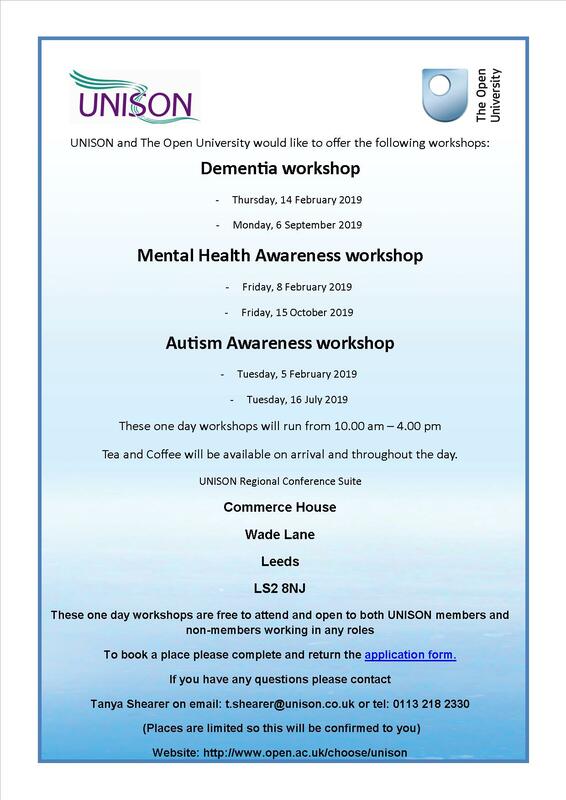 The branch UNISON Labour Link Officer is the key contact point for information about regional and national UNISON Labour Link matters and is responsible for co-ordinating our activities in the branch. They also represent the interests of Labour Link levy payers on the UNISON branch committee. The Labour Link Officer must be nominated by members paying into the Affiliated Political Fund. The Labour Link officer will receive support, training and advice on their role and responsibilities from their regional political officer. to develop links with local charities and sources of support such as Citizen’s Advice Bureau and women’s refuges. The Sheffield Telegraph recently published an article about the number of support staff leaving the University following the implementation of the Professional Service Operating Model for Student and Academic Services. As a major employer in the city, the loss of so many jobs at SHU is clearly significant. 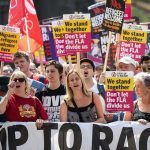 The article prominently carried a quote on the situation from Branch Secretary Dan Bye, referring to the overwhelming support for UNISON’s motion of no-confidence in the implementation process, a motion we believe has been vindicated by events since the new year. UNISON’s 2019 National Young Members’ Weekend will be held at the Hilton Hotel, Belfast. It starts at 3pm on Friday 10th May and ends 12:30pm on Sunday 12th May. 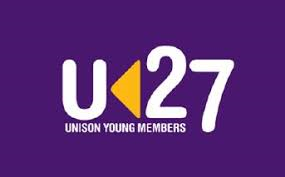 Any young member (under the age of 27 on Sunday, 12th May 2019), who is interested in getting actively involved in organising and campaigning in UNISON. The weekend includes plenary sessions, education and training, discussions and social activities. It’s a great way to network and find out how to get active. If you would to get involve and represent our branch please email Dan Bye before 4th February for further details.